Run your own business without the risk or capital investment of buying into a franchise. This is an opportunity to build and manage all aspects of ANTS Tennis’ operations in your city and become a part of the ANTS Tennis family. The ANTS Tennis Affiliate program is autonomous with the tremendous support of the successful San Francisco based team. The Affiliate will be responsible for managing all aspects of our After-School, co-ed, camps, and youth tennis league programs. This includes all aspects of outreach, planning, scheduling, managing and coaching. Affiliates work remotely from home and all coaching will be done on school campuses or in parks. The Affiliate will be part of our national team and support all efforts/projects designed to build the infrastructure of the company and help it grow. We're looking for a fun team player who is reliable and organized, cares about their work, interested in growing the great sport of tennis, having a positive impact on children and strives for continuous improvement. Passionate about tennis and youth fitness / ideally played in recreational youth tennis, USTA Tennis and/or leagues in their city. Fun, outgoing, social, and GREAT with children. A good networker / has a network in the city that is in the customer demographic who would likely have children who would play in ANTS TENNIS. Planning, scheduling, management, including staffing, communications, logistics and customer service for any and all ANTS Tennis after-school programs, inter-school competitions, and camps. 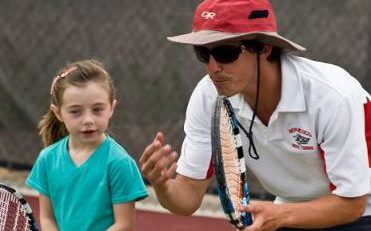 Coaching youth tennis using the ANTS Tennis’ unique, custom coaching philosophy. Sales and outreach to procure After School programs. Customer service and communication between schools, parents, and after-school coordinators. Professional experience working with children. If you are interested in becoming an ANTS Tennis Affiliate in your community please apply below.